We often run Iranian blogs to show clown-like policies such as requiring Islamic haircuts or mannequin mascetomies. However, it is important to remember the plight of women and dissidents under Iran’s medieval Sharia system. 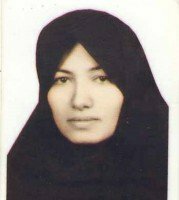 There is no more frightening example than the scheduled stoning of Sakineh Mohammadi Ashtiani, 43, for conducting an “illicit relationship outside marriage.” Convicted in May 2006, Ashtiani has already been given 99 lashes under her Sharia sentence. She was originally acquitted, but under the Iranian “legal system” a judge is allowed to reverse such decisions based on “judge’s knowledge.” She has been in jail for five years and will now be buried up to her neck (men are buried to the waist) and then stoned to death. Sakineh Mohammadi Ashtiani’s attorney is missing. As far as pharma goes, given the enormous amounts of money required for drug trials, I think that the private paradigm works better as long as the public health care system is setting the prices (which I agree should incentivize cures over treatments, but realize that cures are often not possible and treatments can save many lives (HIV, cancer)). I never expect the private sector to do the humane thing unless they are required to do so but I think that their penchant for doing the profitable thing renders their behavior easy to predict (and makes it possible to use taxes and regulations to get them to do the humane thing). 2 different guys and 2 different theories. Good to see you back in form, old bean. I agree in the large part. My only issue with your statement is vis a vis pharma. I think that could work but only of we incentivized cures over treatments. Even Chris Rock jokes about the money’s in the medicine, not the cure. But that should be the only incentive they get. You cure a cancer? You get a 60% tax break for 10 years or something along those lines. And they should have to accept pricing/profit restrictions. We as Americans shoulder a ridiculous part of their R&D costs because the government (unlike every other government) won’t make Pharma bargain. I’m not saying they can’t recoup their R&D, but if making them take a price fix to ensure everyone who needs a med can afford it and the only thing that impacts them is they recoup over 25 years instead of 5? It doesn’t take a genius to realize that’s the humane, as opposed to greedy, thing to do. What have you got against Fourier? I totally agree – the conversation shouldn’t be about Free Market vs. Socialism (or anything else) in the abstract. We’ve already got some socialist programs and some free markets and we’re not going to eliminate either one entirely – the question is what system does each sector of the economy function better on. If health care, insurance, and energy* were all run for the public trust and other industries were left to the free market (no government subsidies) with appropriate regulation we’d be a lot better off. * If healthcare and insurance were public then I think that a private pharma industry would be fine. The free market tends to favor innovation, so as long as the incentives which direct that innovation are appropriate and the public system isn’t capable of being gamed the way the private system currently is I think that a private pharma industry would work better. Simply you can’t. But that’s the price for socialism: the individual’s desire for unlimited profits cannot be placed before the common good. There are only certain segments of the economy that merit socialization. The bulk of the economy can be left to free market mechanisms. But the energy sector have proven greedily incompetent AND war mongers so that rules them out of the free market. Same goes for greedy incompetence in health care and the pharmaceutical industries. Insurance too. But the rest of the markets would flourish if the excessive abuses of those three sectors were eliminated by being run as not for profit public trusts instead of for profit private enterprises that are essentially destroying the whole system. You’ll notice I left out banking. Banking doesn’t need to be socialized. It needs to be regulated and provisions added to ensure bad acting companies have their CEO’s and Boards sent to real serious you don’t want to be there prison instead of bailed out at the public’s expense and given bonuses. Steal with a pen or steal with a gun, stealing is stealing. Again, different tools for different jobs. By the way have you read any of Frederic Bastiat? I just bought 2 volumes of his writings and a small pamphlet called The Law which is quite good. He’s not a collectivist because he doesn’t hold items in public trust for the use of the people in general he simply takes and gives to his cronies, which makes him a simple thief. Can you name a few? I would like to see what type of economic system they have/had. how is Mugabe not a collectivist? He has taken land from private use and given it to others, he directs the economy and he controls the means of production. When talking about the collective on the level of a country you cannot control production and distribution except with autocratic authority. And if you control production and distribution you are subjecting citizens to state authority. Which I might also point out is enforced by threat of jail or fines or both. So how do have a collective on the level of a country without trampling individual rights? Ricardo is the father of free trade and political economy refining Smith’s concepts of absolute advantage with his more sophisticated idea of comparative advantage. Rome and Egypt certainly became wealthy through right of conquest along with industriousness and the desire for individual advantage, but wealth is wealth. There are examples of relatively free people being saddled with destitute economies. A false equivalence is not just an error in definition (a general quantification error), but the way you’ve stated your assertion is also a quantification error of proof by example. Logically, “Mugabe is a bad leader. Mugabe is a totalitarian collectivist. There for all bad leaders are totalitarian collectivists” is the same faulty argument as “This apple is red therefore all apples are red.” mespo’s example shows your fallacy in this regard as well. You’re also committing a regression fallacy in re attempting to correlate a term you don’t like because it limits business transactions – collectivism – as a base cause for why Mugabe is a bad leader. That’s pure spin. You cannot change the meanings of words, Byron. Totalitarianism isn’t the same thing as collectivism no matter how you want to twist the phrasing. Even if Mugabe is a collectivist – which he demonstrably isn’t, he’s simply a totalitarian, a thug and a thief – you are committing the error of retrospective determinism (a form of outcome determinism) thereby compounding your errors. A lie in terms compounded by logical errors is still a lie even if you are only lying to yourself, but if you expect me to let you float spinning crap like that unchallenged, you must have a short memory. I disagree, freedom is the only necessary factor for wealth creation. Rome and Egypt gained wealth through slavery and military conquest. why call it individual advantage? why not call it ambition? I haven’t read the book but it sounds critical of the concept of free markets. Part of the problem with Africa is tribal lands but more of the problem is individuals like Robert Mugabe who are indeed totalitarian collectivists. I did. The answer is most cogently answered in this fine book of political economy: The Principles of Political Economy and Taxation by David Ricardo. It boils down to two underpinning factors — Industriousness and desire for individual advantage — which both serve as the foundation for wealth. In all fairness, a large part of Africa’s basket case status comes from the penchant for colonialists to draw arbitrary map lines regardless of the indigenous culture(s). And totalitarianism and collectivism are not the same thing. That’s a false equivalency.